“Glory to the Holy One,” from Dr. R.C. 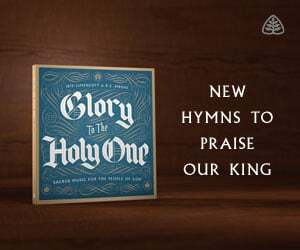 Sproul’s Glory to the Holy One sacred music project, provides both a striking description of Isaiah’s beatific vision of God (Isaiah 6:1-8) and issues a stirring call for God’s people to join the heavenly hosts in reverent, heartfelt, and true worship. It also presents rich insights into a gospel-driven, biblically-informed model of liturgy. Note the dialogical order of this celestial Divine-creature meeting. Doxological Response. “”Holy, Holy, Holy,” cried the seraph throng. Glory to the Holy One, join in heaven’s song.” God’s creatures rightly respond to His infinite majesty with reverent adoration. Confession of Sin and Assurance of Pardon. Exposed and convicted by the refulgent glory of God’s holiness, Isaiah recognizes his unworthiness and confesses his sin. “Angel come now, purge my lips, make pure my soul anew.” The purging of Isaiah’s sins points to the atoning work of Christ. Word. God reveals His will and sends Isaiah in His powerful Name. “Whom shall I send, and who will go for Us?” (Isaiah 6:8a). This Divine call is implied in Isaiah’s following response. Response and Sending. “Now I’ll rise and stand again in grace to go for you.” Transformed and equipped for service by God’s grace, Isaiah goes forth as God’s ambassador. A similar progression is paralleled in several other scriptural narratives, including Exodus 3-4 (Moses and the burning bush), Nehemiah 8 (Ezra’s reading of the Law), and Luke 1:26-38 (Mary and Gabriel) (Refer to F. Russell Mitmann, Worship in the Shape of Scripture). How unspeakably blessed we are, as God’s redeemed people, to “join in heaven’s song” in ascribing glory to the transcendent Holy One; to be corrected, comforted, strengthened, and called through His appointed means of grace; and to go forth to serve in the matchless name of Christ.